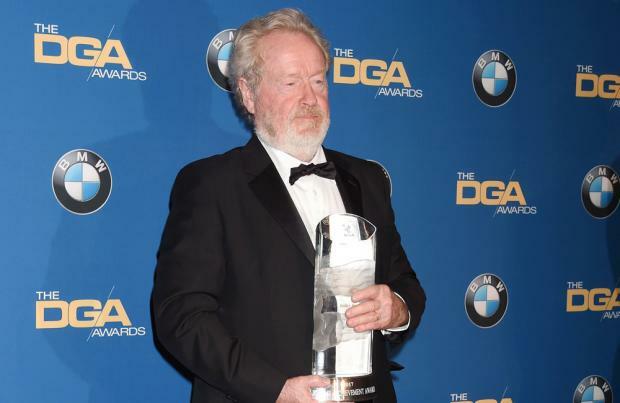 Sir Ridley Scott will be given the BAFTA Fellowship at this year's awards. The 80-year-old filmmaker has had a career spanning more than 40 years and has helmed 25 feature films including iconic cinema classics 'Alien', 'Gladiator', 'Thelma and Louise' and 'Blade Runner'. He said: "It is a privilege to have been able to make a career for myself in this industry and to be honoured for my body of work is indeed very gratifying." Although never winning an Academy Award, Scott has been nominated for three of the prestigious awards and won two BAFTA gongs. Back in 1992, Scott won BAFTA's Special Award and three years later, he was awarded the Outstanding British Contribution to Cinema Award alongside his brother Tony. Now, the iconic filmmaker joins the likes of Charlie Chaplin, Alfred Hitchcock, Steven Spielberg, Sean Connery, Elizabeth Taylor, Stanley Kubrick, Anthony Hopkins, Laurence Olivier and Judi Dench. Last year, Mel Brooks received the prestigious award. Amanda Berry, chief executive of BAFTA, said: "Ridley Scott is a visionary director, one of the great British filmmakers whose work has made an indelible mark on the history of cinema. "His passion and unrelenting pursuit of excellence have provided cinema goers with a tantalising range of films, including 'Alien', 'Gladiator', 'Thelma and Louise' and 'Blade Runner', 40 years since his directorial debut, his films continue to cross the boundaries of style and genre, engaging audiences and inspiring the next generation of film talent." Most recently, Scott directed and produced the John Paul Getty biopic 'All the Money in the World' which received a BAFTA nomination for Supporting Actor for Christopher Plummer. He also was the executive producer on 'Blade Runner 2049' - the sequel to his cult classic - which received eight BAFTA nods and five Oscar nominations. The BAFTA awards will take place on February 18.